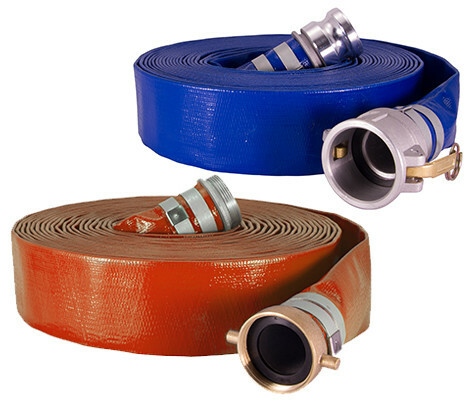 Sun-Flow designs and manufactures industrial lay-flat PVC discharge hose, PVC vacuum hose, and hose fittings for industrial wash-down, irrigation, construction, dewatering, mining, and fertilizer distribution markets. Sun-Flow produces the highest quality virgin resin materials. Their manufacturing plant gives them the capabilities to handle a variety of specialty applications. Most Lay Flat Hose, Discharge Hose, Sprinkler Pivot Hose, Water Transport Hose, Spring Wire Suction Hose, Nitrile Woven Hose, Cam-Locks, Cam-Lock Adapters, Strainers, Foot Valves, Clamps and other fittings are manufactured in the USA. 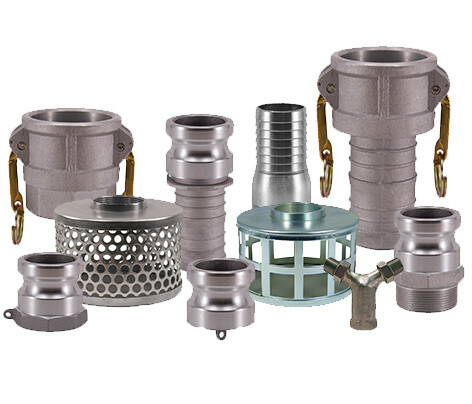 Most Lay Flat Hose, Discharge Hose, Sprinkler Pivot Hose, Water Transport Hose, Spring Wire Suction Hose, Nitrile Woven Hose, Cam-Locks, Cam-Lock Adapters, Strainers, Foot Valves, Clamps and other fittings are manufactured in the USA.